Little Tina was a dreamer. Her dreams had made her what she is right now, a ” dream interpreter” for brides-to-be, a wedding dress designer. Since she got caught sketching a wedding gown in her German class at High School, she had decided that being a designer was all she want to do. She finished her study at Kadorie Fashion College, Singapore, in 1980. In 1981, she enthusiastically started her business in a 3×4-square meter room. She saved some money to buy 200.000- rupiah sewing machine, by which she started sewing her dreams. Many people may not realize that her own personal experience was the one that made up her mind. It was back in 1985 and everything was in chaos. Preoccupied by their jobs, she and her fiance, Johnny Andrean, could not take care of their own wedding properly. No organizer was there to help them. Until one time, in the middle of the night, they knocked on a printing company’s door to make their wedding invitations right there and then. They could not wait until morning because it would have been be too late by then. So, in his pajamas, the owner of the company had to grant their wish and printed the invitation! The same thing happened when they were choosing their wedding cake. Since no alternative choices were available for the cake designs, they immediately agreed with the first alternative that was offered to them. On the wedding day, Tina even had to put her own make up because no one helped her. Unfortunately, it was not the end. After the party, the newlywed couple realized that they had forgotten to prepare their own dinner. That night, they fell asleep with empty stomaches. It’s such a bad story! Since then, Tina decided to open a bridal and a one-stop wedding services. “I’ll help everybody!” she promised to herself. Johnny Andrean Bridal then became the pioneer of one-stop wedding services in Indonesia. In 1998, Tina decided to move to America. She experienced many ups and downs that gave her a strong knowledge in her field by opening a store in San Francisco for 7 years. She came back to Indonesia in 2005 to share her knowledge, with a lot of fresh, detailed and thematic concepts. She has decided that she would never stop dreaming. 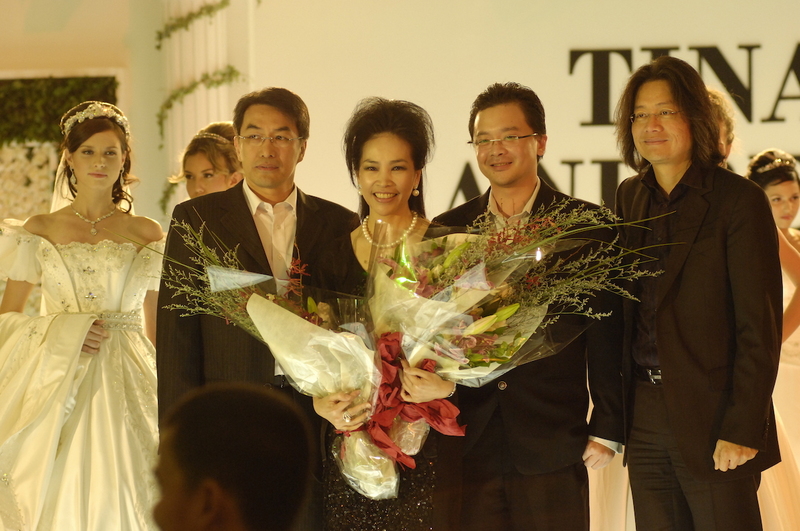 In 1984, Tina became a bridal gown designer under the label of Johnny Andrean Bridal. In order to fulfill her dreams, she decided that she had to be the best in the game, so she left for Venice, Frankfurt, Rome, Paris and London to do a research on how to produce a high quality and elegant gown. 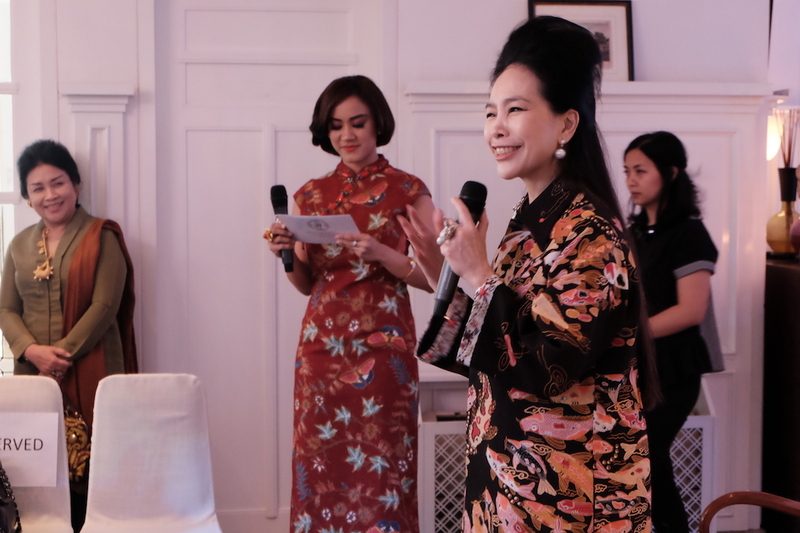 Accompanied by Johnny, she visited famous boutiques, textile factories and local craftsmen. Enthuastically, step by step she learned and observed everything. Tina improved there sewing techniques and enriched her design. She blended her original creations into wedding gown elements and applied them on her clients the brides-to-be. Tina never stopped learning. She attended many workshops and joined collective fashion shows to identify her weak spots. In 1989, Tina participated in “Wedding Gown Exhibition” at Igedo, Dusseldorf, Germany. 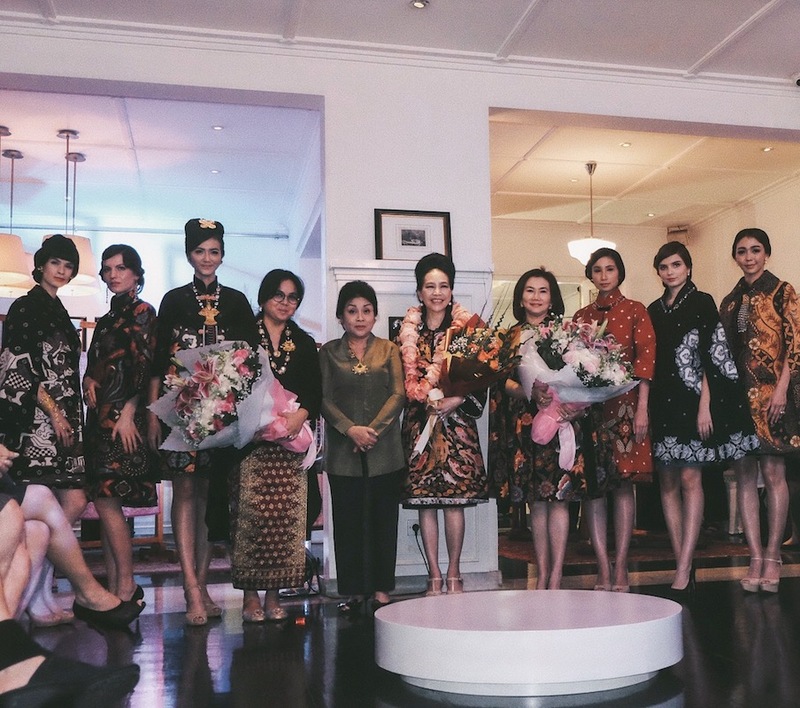 She also participated in many local exhibitions, including the “Asean Trades Fair” in Jakarta. Always moving forward, the Johnny Andrean Bridal started organizing many wedding exhibitions and establishing partnerships with external parties. They prepared new ideas and helped organize wedding parties, including the honeymoon part. They even held four exhibitions every year, from 1990 till 1997! They became the pioneer of one-stop wedding services in Indonesia.